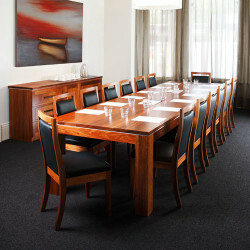 We chose to handcraft this chair in Australian Blackwood timber. 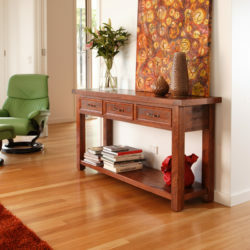 You may prefer to have yours in either Tasmanian Messmate, Jarrah or River Redgum timber. A wide range of upholstery fabrics, leathers and timber stains are available or you may choose to supply a sample for colour matching.